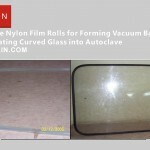 The High Temperature Resistance Nylon Film for making vacuuming bags for laminating curved glass is best best solution for curved laminated glass in autoclave laminating. 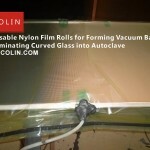 You can cut it in various lengths and then by using a “hot press” you can make a close bag around a curved glass to creating a vacuuming room. 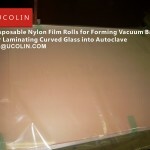 It’s often used in curved glass laminating, and taken into autoclave. It’s high temperature resistance, so it won’t burn. 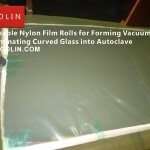 THE NYLON FILM FROMING VACUUMING BAG FOR GLASS LAMINATING SOLUTION is best solution for making special forms of laminated glass, for example, ultra big, ultra thick, curved laminated glass, U Form laminated glass, glass laminated with steel inserts, SGP film laminated glass, etc. 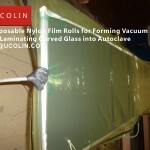 THE NYLON FILM FROMING VACUUMING BAG FOR GLASS LAMINATING SOLUTION gives you freedom to laminated any special forms of laminated glass. 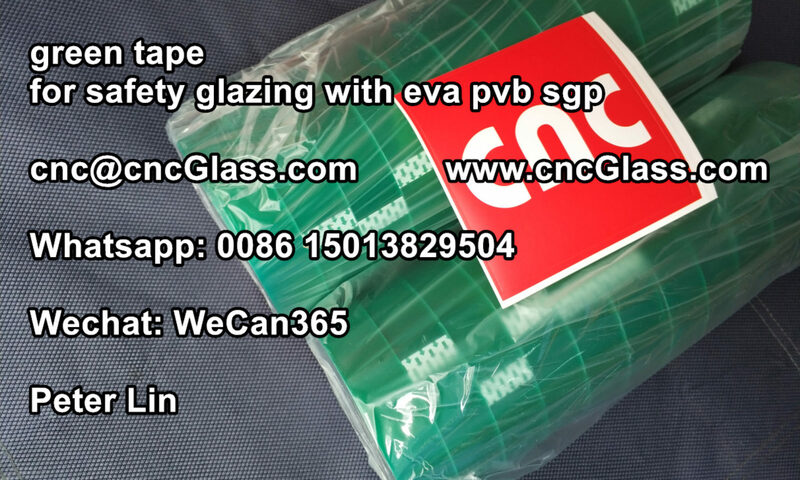 You don’t need to worry the bubbles around 10 cm of edges of laminated glass any more. 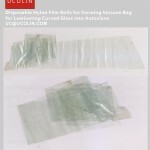 The cost of THE NYLON FILM FROMING VACUUMING BAG FOR GLASS LAMINATING SOLUTION is less than other solutions.